Raphael was born on April 6, 1483, in Urbino, Italy. He became Perugino&apos;s apprentice in 1504. Living in Florence from 1504 to 1507, he began painting a series of "Madonnas." In Rome from 1509 to 1511, he painted the Stanza della Segnatura ("Room of the Signatura") frescoes located in the Palace of the Vatican. He later painted another fresco cycle for the Vatican, in the Stanza d&apos;Eliodoro ("Room of Heliodorus"). 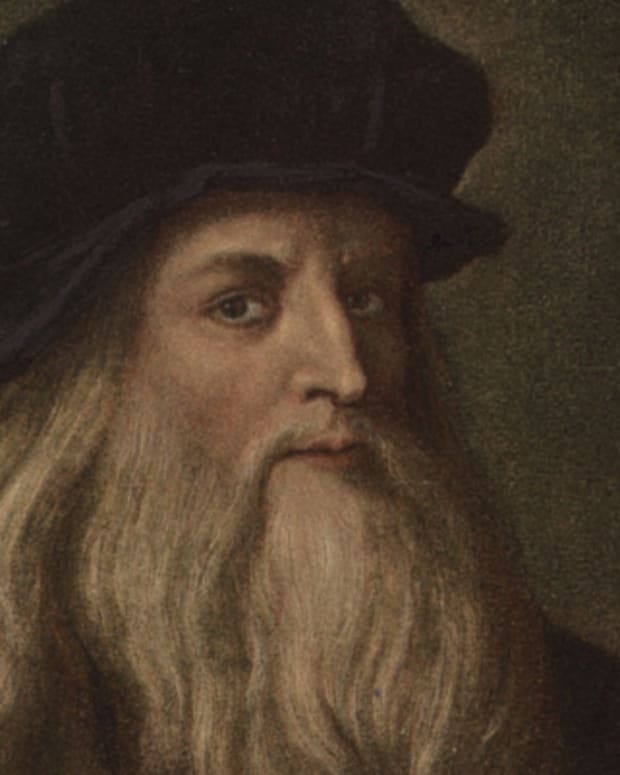 In 1514, Pope Julius II hired Raphael as his chief architect. Around the same time, he completed his last work in his series of the "Madonnas," an oil painting called the Sistine Madonna. 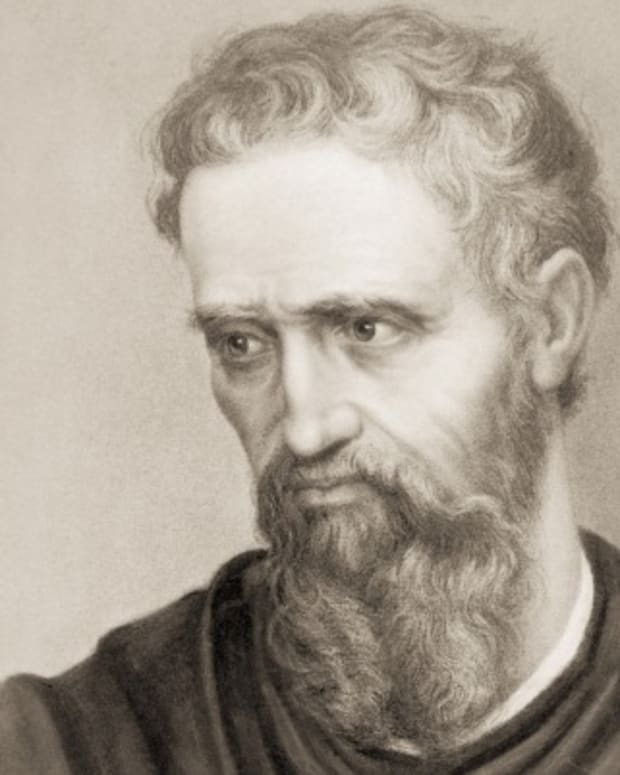 Raphael died in Rome on April 6, 1520. 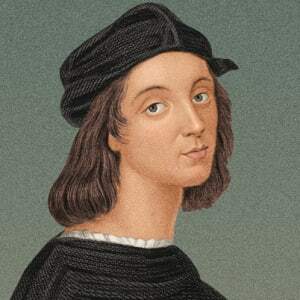 Italian Renaissance painter and architect Raphael was born Raffaello Sanzio on April 6, 1483, in Urbino, Italy. 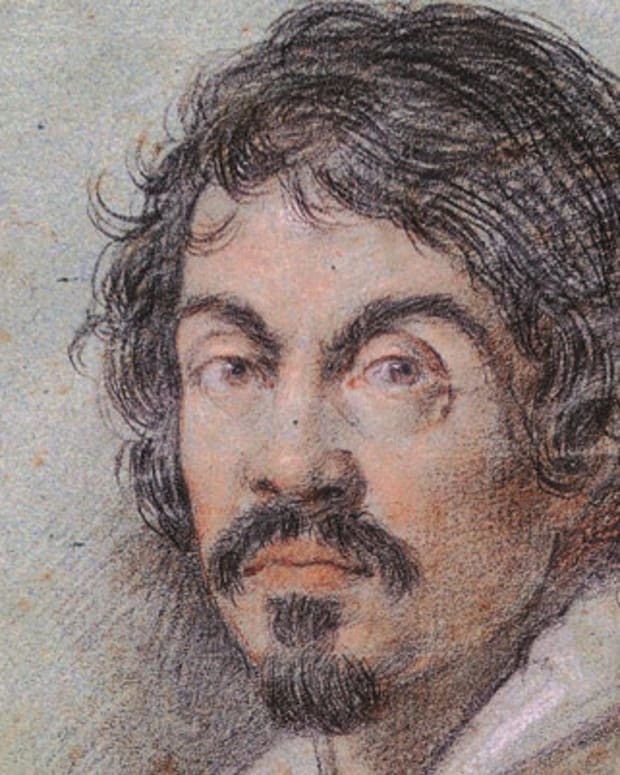 At the time, Urbino was a cultural center that encouraged the Arts. Raphael’s father, Giovanni Santi, was a painter for the Duke of Urbino, Federigo da Montefeltro. 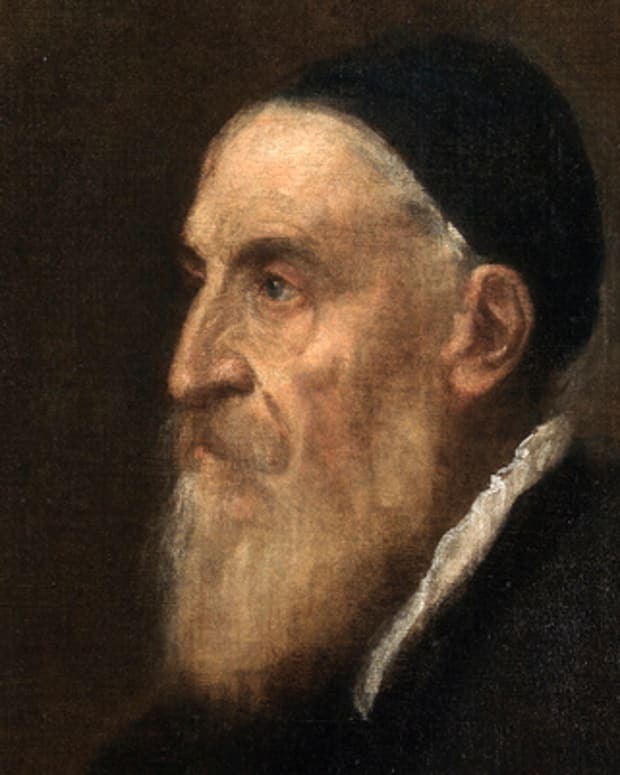 Giovanni taught the young Raphael basic painting techniques and exposed him to the principles of humanistic philosophy at the Duke of Urbino’s court. In 1494, when Raphael was just 11 years old, Giovanni died. Raphael then took over the daunting task of managing his father’s workshop. His success in this role quickly surpassed his father’s; Raphael was soon considered one of the finest painters in town. As a teen, he was even commissioned to paint for the Church of San Nicola in the neighboring town of Castello. In 1500 a master painter named Pietro Vannunci, otherwise known as Perugino, invited Raphael to become his apprentice in Perugia, in the Umbria region of central Italy. 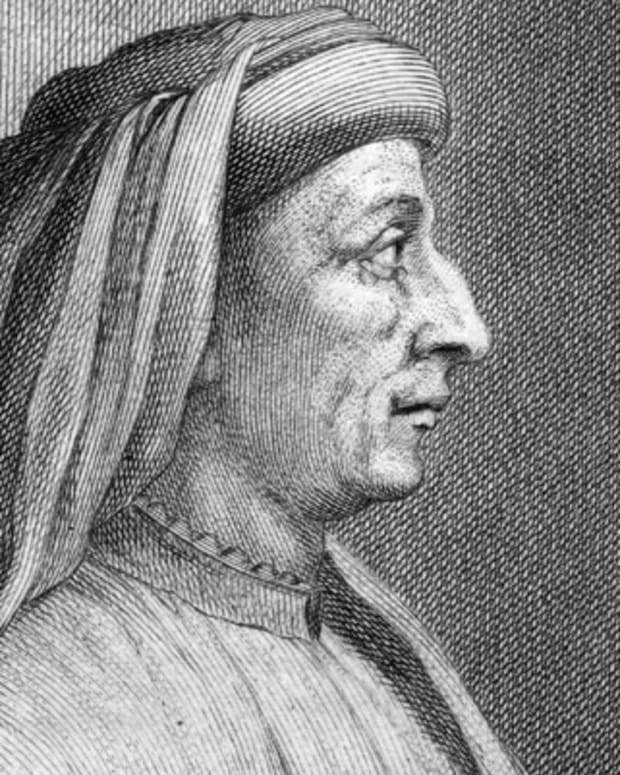 In Perugia, Perugino was working on frescoes at the Collegio del Cambia. The apprenticeship lasted four years and provided Raphael with the opportunity to gain both knowledge and hands-on experience. During this period, Raphael developed his own unique painting style, as exhibited in the religious works the Mond Crucifixion (circa 1502), The Three Graces (circa 1503), The Knight’s Dream (1504) and the Oddi altarpiece, Marriage of the Virgin, completed in 1504. In 1504, Raphael left his apprenticeship with Perugino and moved to Florence, where he was heavily influenced by the works of the Italian painters Fra Bartolommeo, Leonardo da Vinci, Michelangelo and Masaccio. To Raphael, these innovative artists had achieved a whole new level of depth in their composition. 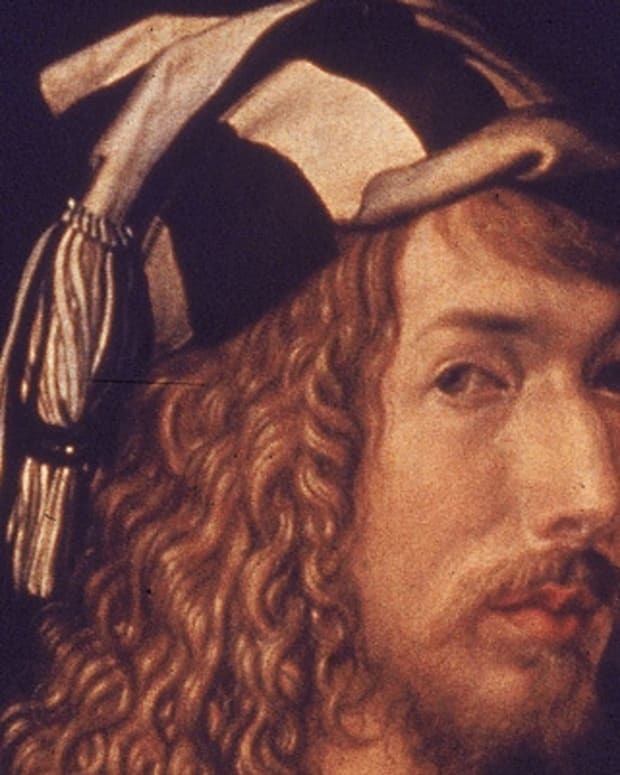 By closely studying the details of their work, Raphael managed to develop an even more intricate and expressive personal style than was evident in his earlier paintings. From 1504 through 1507, Raphael produced a series of "Madonnas," which extrapolated on Leonardo da Vinci&apos;s works. Raphael&apos;s experimentation with this theme culminated in 1507 with his painting, La belle jardinière. That same year, Raphael created his most ambitious work in Florence, the Entombment, which was evocative of the ideas that Michelangelo had recently expressed in his Battle of Cascina. Raphael moved to Rome in 1508 to paint in the Vatican "Stanze" ("Room"), under Pope Julius II’s patronage. From 1509 to 1511, Raphael toiled over what was to become one of the Italian High Renaissance’s most highly regarded fresco cycles, those located in the Vatican&apos;s Stanza della Segnatura ("Room of the Signatura"). The Stanza della Segnatura series of frescos include The Triumph of Religion and The School of Athens. In the fresco cycle, Raphael expressed the humanistic philosophy that he had learned in the Urbino court as a boy. In the years to come, Raphael painted an additional fresco cycle for the Vatican, located in the Stanza d&apos;Eliodoro ("Room of Heliodorus"), featuring The Expulsion of Heliodorus, The Miracle of Bolsena, The Repulse of Attila from Rome and The Liberation of Saint Peter. During this same time, the ambitious painter produced a successful series of "Madonna" paintings in his own art studio. The famed Madonna of the Chair and Sistine Madonna were among them. By 1514, Raphael had achieved fame for his work at the Vatican and was able to hire a crew of assistants to help him finish painting frescoes in the Stanza dell’Incendio, freeing him up to focus on other projects. While Raphael continued to accept commissions -- including portraits of popes Julius II and Leo X -- and his largest painting on canvas, The Transfiguration (commissioned in 1517), he had by this time begun to work on architecture. 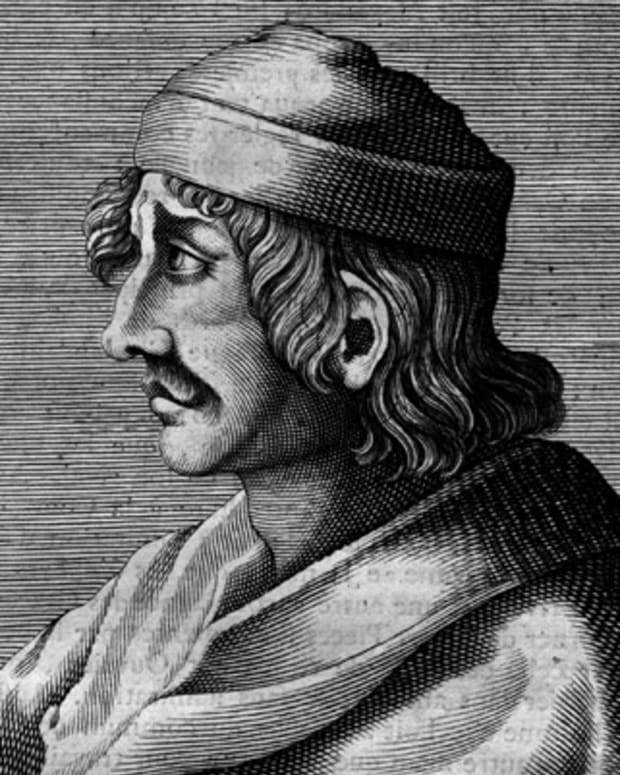 After architect Donato Bramante died in 1514, the pope hired Raphael as his chief architect. Under this appointment, Raphael created the design for a chapel in Sant’ Eligio degli Orefici. He also designed Rome’s Santa Maria del Popolo Chapel and an area within Saint Peter’s new basilica. Raphael’s architectural work was not limited to religious buildings. It also extended to designing palaces. Raphael’s architecture honored the classical sensibilities of his predecessor, Donato Bramante, and incorporated his use of ornamental details. Such details would come to define the architectural style of the late Renaissance and early Baroque periods. On April 6, 1520, Raphael’s 37th birthday, he died suddenly and unexpectedly of mysterious causes in Rome, Italy. He had been working on his largest painting on canvas, The Transfiguration (commissioned in 1517), at the time of his death. When his funeral mass was held at the Vatican, Raphael&apos;s unfinished Transfiguration was placed on his coffin stand. Raphael’s body was interred at the Pantheon in Rome, Italy. Following his death, Raphael&apos;s movement toward Mannerism influenced painting styles in Italy’s advancing Baroque period. Celebrated for the balanced and harmonious compositions of his "Madonnas," portraits, frescoes and architecture, Raphael continues to be widely regarded as the leading artistic figure of Italian High Renaissance classicism. 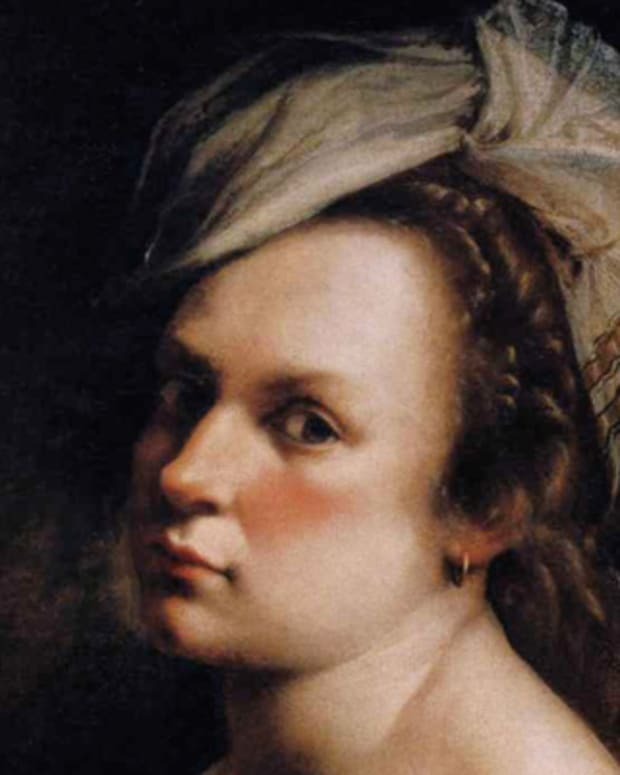 Artemisia Gentileschi, daughter of Orazio Gentileschi, was a Baroque-period painter known for such works as "Madonna and Child, "Susanna and the Elders" and "Judith Slaying Holofernes."